Attorney Glorily A. López exclusively practices U.S. immigration and nationality law, assisting individuals, families, and corporate clients. Her experience includes extensive work with family, employment, business and individual-based immigration petitions, as well as consular processing, naturalization, citizenship, and removal defense. 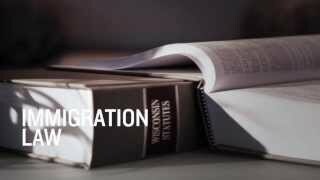 Attorney López has earned a solid reputation as one of the top immigration attorneys in Wisconsin and nationally. She has been included on lists for Best Lawyers® in America since 2005 (including "Madison Lawyer of the Year - Immigration" in 2019, 2016 and 2013). She was named a Wisconsin Super Lawyers® Rising Stars in Immigration Law earlier in her career. In 2016, she was named one of "Wisconsin's 48 Most Powerful Latinos" by Madison365. She is rated "10.0-Superb" on Avvo.com and was given the Avvo "Clients' Choice Award" in 2012. Attorney López is an active member of the American Immigration Lawyers Association (AILA), the national association of attorneys and law professors who practice and teach immigration law. Founded in 1946, AILA is a nonpartisan, not-for-profit organization that provides continuing legal education, information to the public, professional services, and expertise through its 39 chapters and over 50 national liaison committees. Attorney López has served at Board of Governors of AILA at the national level, and held various officer positions including AILA Wisconsin Chapter Chair, Vice-Chair, Treasurer, and Liaison to various important government agencies including USCIS, USICE, USCBP, and Wisconsin DMV. 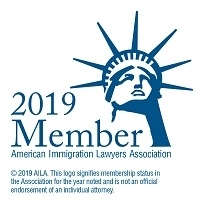 Her long-standing membership with AILA allows her to stay current on changes to immigration laws, policies and regulations and provide up-to-date advice to her clients, in high-stake issues, which are often time-sensitive. Attorney López is an ardent advocate for comprehensive immigration reform and maintains ongoing contact with members of the Wisconsin congressional delegation in Washington D.C. regarding issues, such as comprehensive immigration reform, H-1B, DACA, family and employment-based immigration reform. She has also traveled to Washington, D.C. and regularly meets with local congressional staffers to discuss immigration issues affecting Wisconsin businesses and families. Prior to joining Murphy Desmond as a shareholder and immigration practice group leader in 2012, Attorney López was the principal attorney at López Law Group, an immigration boutique firm she founded and managed for more than 11 years. Attorney López is fluent in English and Spanish, and provides bilingual representation to her clients. Listen to La Movida radio station (WLMV 94.5 FM and 1480 AM) in Madison for Attorney López’s call in/text in/Facebook live radio show Inmigración al Día one Friday morning per month between 10:00am and 11:00am. Attorney López is a frequent resource for local media and in the community regarding various immigration topics. WMTV – Lopez interviewed for "Life in Limbo for Dreamers in Dane County"
University of Wisconsin, Madison, Wisconsin, 2000, J.D. University of Minnesota, Twin Cities, Minnesota, 1996, B.A.